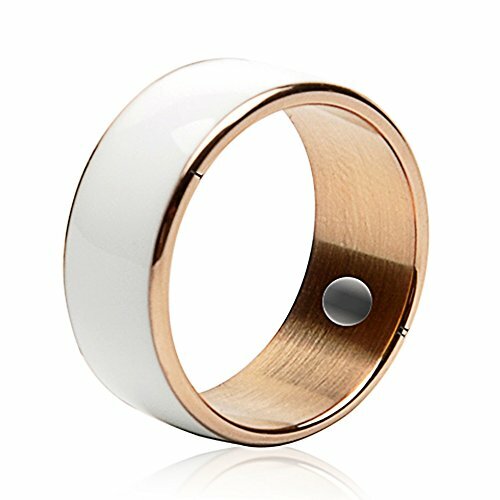 60mm White Titanium Waterproof App Enabled Smart Ring NFC Smart Ring for Android Windows NFC Mobile Phones Samsung Sony by Sopear at Kode Fu Guru. MPN: SO426510066. Hurry! Limited time offer. Offer valid only while supplies last. This smart ring is compatible with Android, BlackBerry, Windows smart phones with NFC function. Fits for Samsung, Sony and so onMain Features:1.